Nintendo Reveals Amiibos, Its Version of "Skylanders"
Nintendo revealed brand new action figures today that use near field communication (NFC) called Amiibos. Similar to Activision&apos;s highly successful Skylanders and Disney Infinity series, the figures will integrate with the Wii U now and with the 3DS in the future. The Amiibos characters, such as Mario, will be able to drop its character into your game. 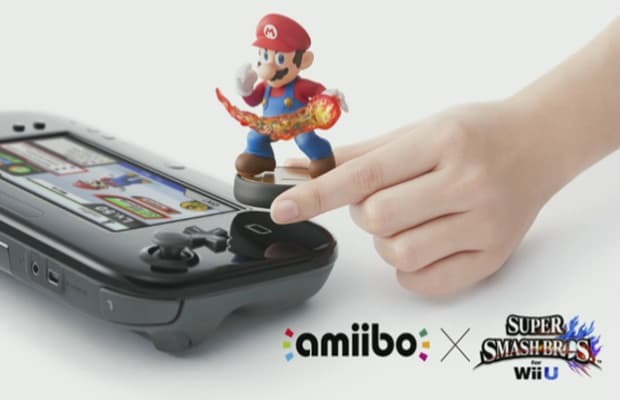 For the upcoming Super Smash Bros. Wii U you&apos;ll be able to play as, train and give your Amiibos new, unique combos and fighting moves making it completely unique to your character. Also announced for Super Smash Bros. Wii U is the ability to drop your Mii character, Nintendo users&apos; online avatar, directly into the game and fight. Your Mii will get some slight alteration as you can customize its fighting style. Stay tuned for more details and footage.